Located at 6515 Hausman Road, the 288-bed, 58-building complex is comprised of 104 units in cottage-style, two-story buildings and is less than two miles from the University of Texas Â– San Antonio (UTSA). Officials of The Preiss Company (TPCO) along with Centaline Investment Management Co. today announced the acquisition of The Estates at San Antonio. Located at 6515 Hausman Road, the 288-bed, 58-building complex is comprised of 104 units in cottage-style, two-story buildings and is less than two miles from the University of Texas – San Antonio (UTSA). The Estates at San Antonio feature a variety of layouts, including two-bedroom/2.5 bath, three-bedroom/3.5 bath and four-bedroom/4/5 bath units. TPCO will manage the property. With an average size of 1,712 square feet, each unit provides a first-floor powder room, granite tile kitchen countertops, stained concrete flooring, modern light fixtures, full-size washer & dryer and patio/balcony. 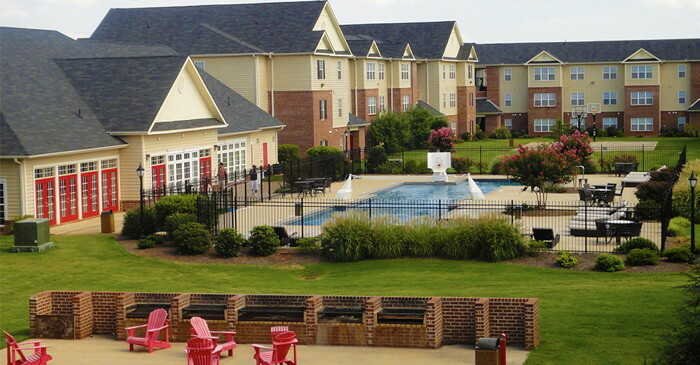 Additional community amenities include a large, resort-style pool, sand volleyball court, private campus shuttle, grilling/picnic stations and 24-hour fitness center. The property is within biking distance to all university classrooms and athletic facilities, as well as a large offering of nearby retail and restaurant outlets. The Estates at San Antonio shortly will begin a multi-million refurbishment program focusing on the clubhouse and amenity spaces.